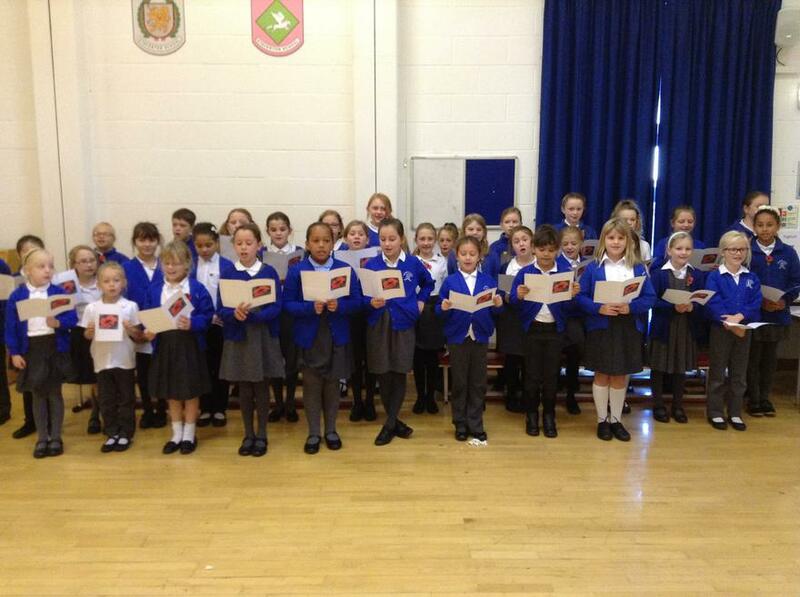 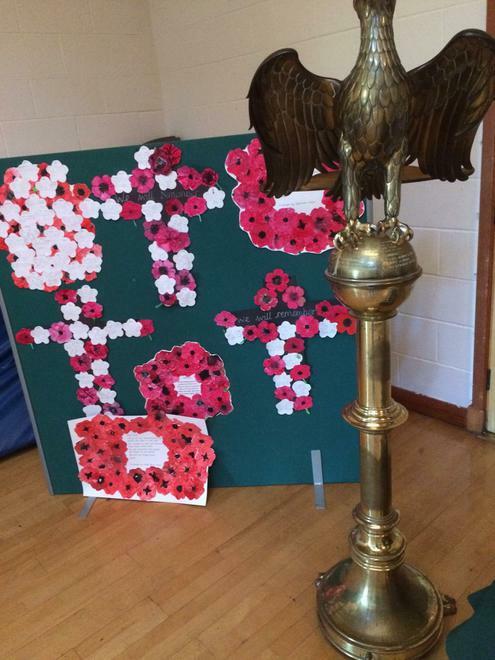 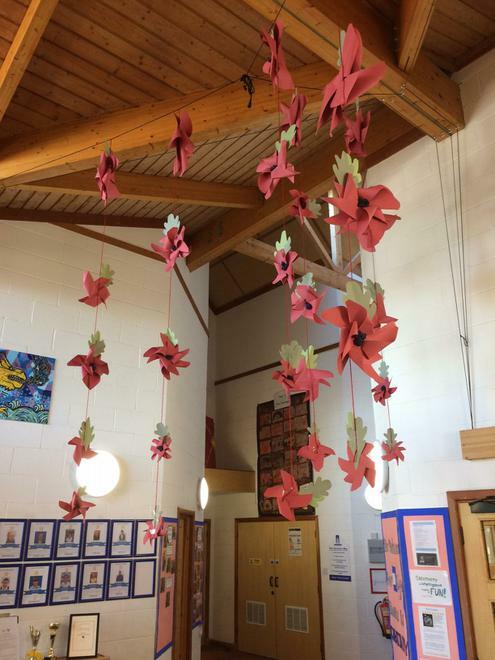 Staverton School held a remembrance Service at school today. 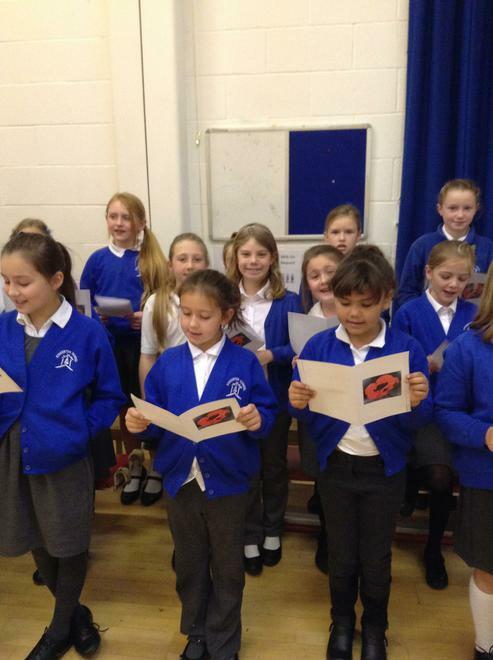 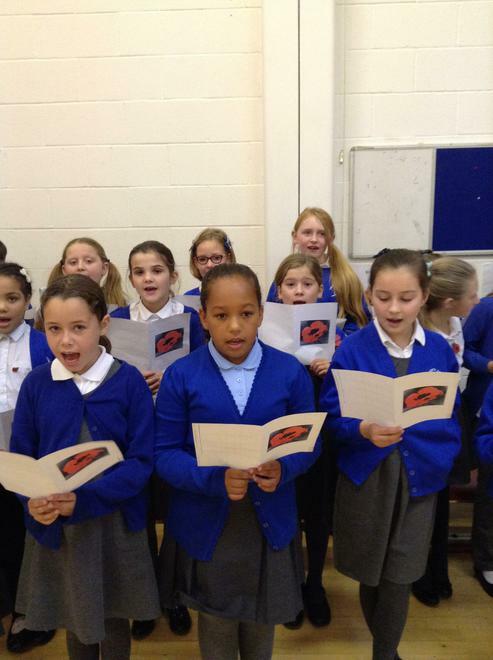 Two year 6 pupils were responsible for the reading. 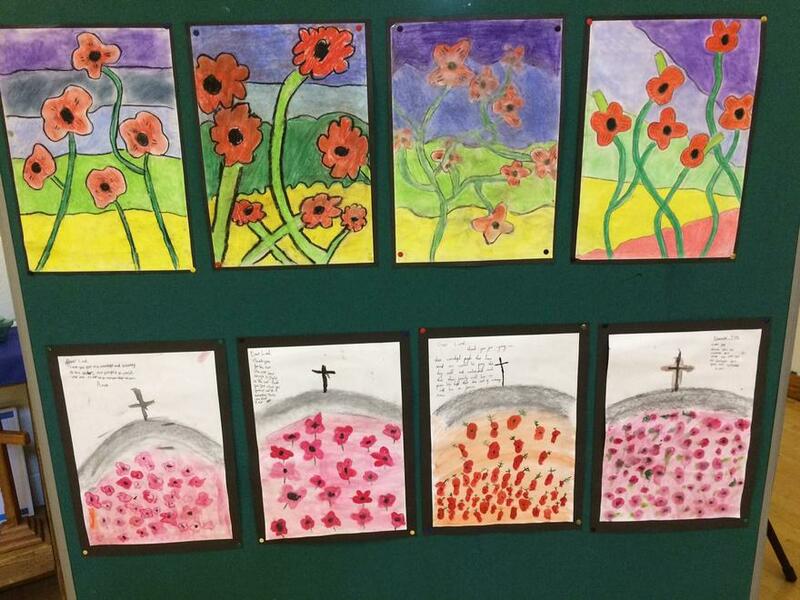 The readings were interspersed with two short films.The first depicted images from the Great War and the second was a pictorial version of 'In Flanders Field'. 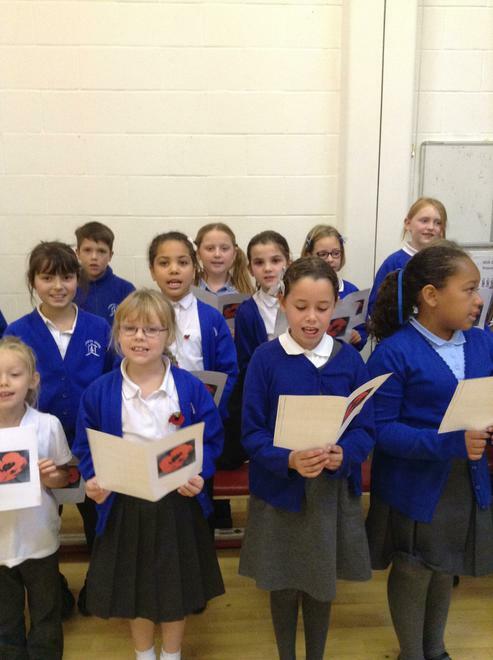 The Choir sang beautifully and we were honoured to have the Last Post played by Mr Ibison. 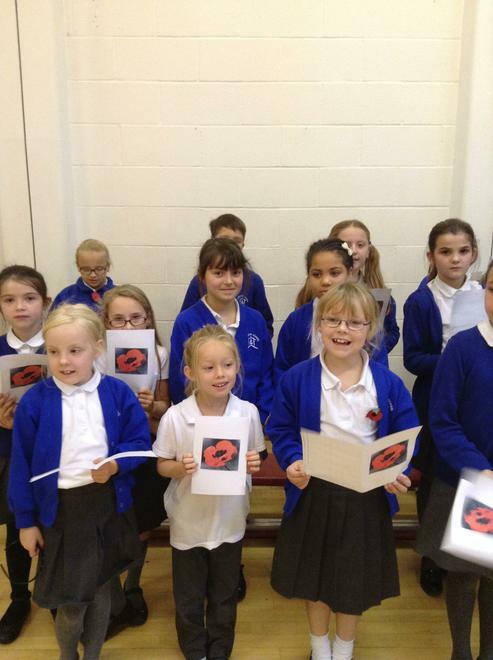 A huge thank you to all the children for their drawing, poems and thoughts - which were proudly displayed. 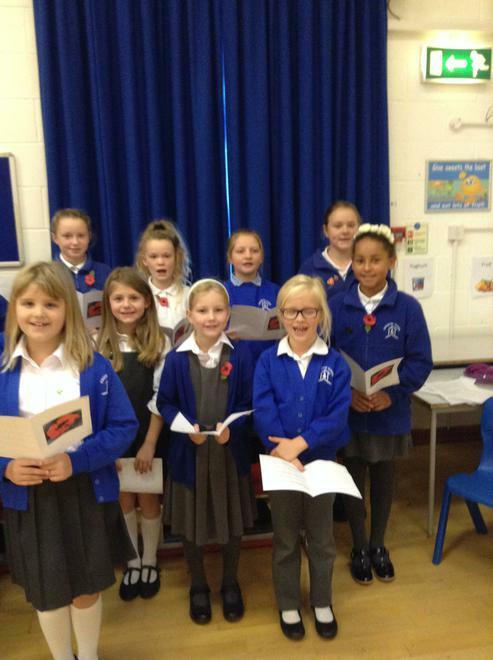 Also a special mention for Mrs Gurr who organised the service and led the school choir - thank you.